I love participating in the challenges that Linda Lodge of Pine Ridge Treasures hosts but this one has been an exercise in frustration. I took the pictures using my iPhone and it took pulling my hair out to get them over to my computer so that I could upload them to this post. Lisa, as usual,sent along some real beauties though I didn't end up using them all. 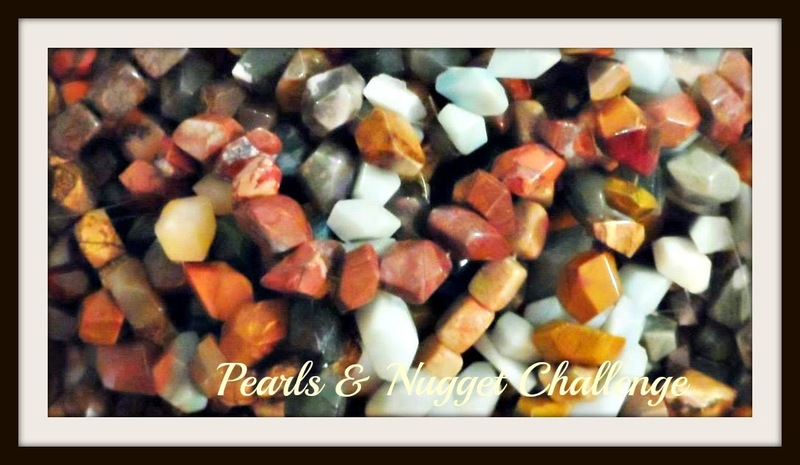 In fact, I was so drawn to those incredible Amazonite nuggets that I concentrated on them. I am sure that you will see the rest of them popping up in the future though the pearls are a bit too much on the yellow side of the scale for my tastes. 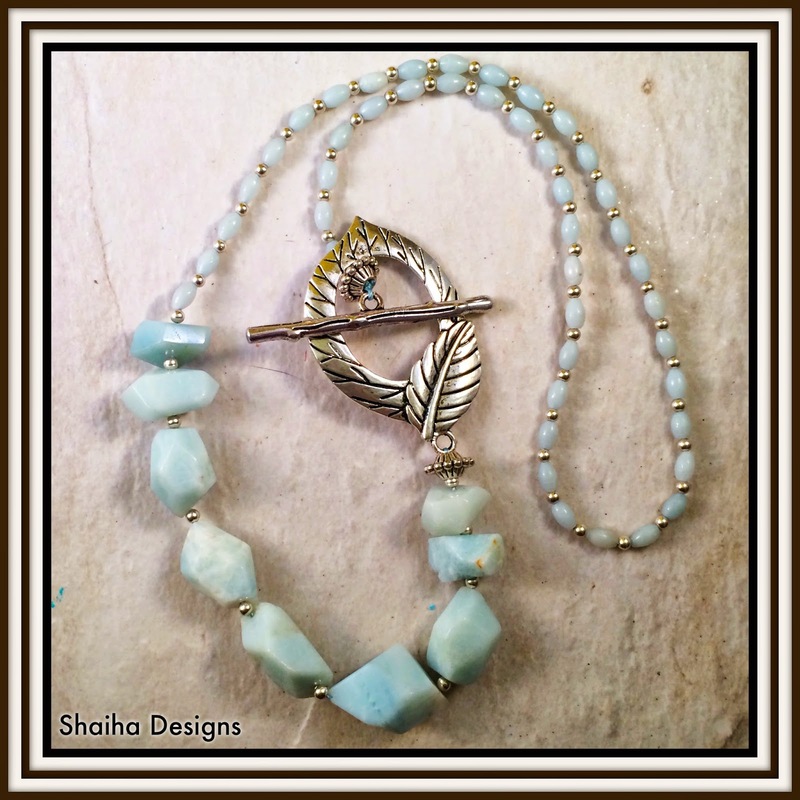 I had some Amazonite beads that went so perfectly with the nuggets in terms of color that they made their way into this creation as well as a beautiful pewter clasp that I had been hoarding saving for just the right occasion and some sterling filled beads. I really think this was it. What do you think? 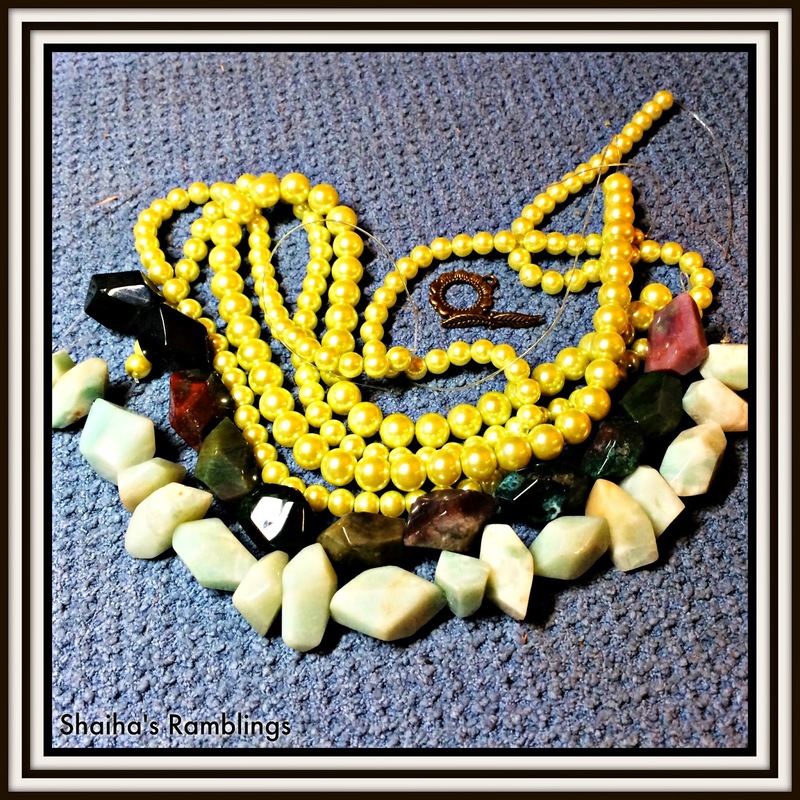 This necklace is up for sale at Shaiha Designs. I love amazonite, too! Lovely necklace with a lovely clasp! You necklace is really lovely Shai. I am a big fan of amazonite.